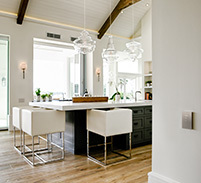 Lutron controls are designed to look and work beautifully. Stylish control and fabric options coupled with innovative technology elegantly transition a space to create the right amount of light for any activity. 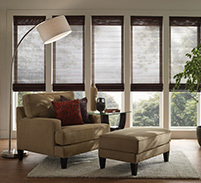 Shades align precisely within 1/16 in (1.6 mm) of each other for a balanced, beautiful look to a row of windows. 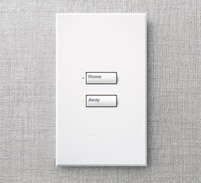 Managing daylight is not restricted to a single wallstation in your home. 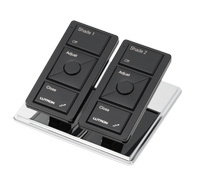 Shading systems can be controlled using a myriad of keypads, IR remote controls, wireless tabletop controls, or set to an astronomic time clock for automatic adjustment of shades.